Sun Nuclear Corporation will debut new solutions for Patient Safety in Radiation Oncology at the Annual ASTRO Meeting in San Antonio this weekend. Featured for the first time in the Sun Nuclear booth will be SunCHECK™ Plan-Checking, the 3D SCANNER™ Halcyon™ Kit, MICRO+™ MR Fixed Lasers, and the MultiPHAN™ Alignment Cube. The SunCHECK Platform, which offers flexible workflow automation for fully integrated and independent Quality Management, will be available for hands-on demonstrations. Also available for demonstration, SunCHECK Plan-Checking is a new affordable, independent and automated tool for structure-based constraint checks, rules-based physics plan checks, and plan quality reporting. In support of the Varian Halcyon™ System, Sun Nuclear is pleased to offer SNC Dosimetry™ v3.6 and the 3D SCANNER Halcyon Kit, making the 3D SCANNER compatible with Halcyon. A related in-booth talk and demonstration are scheduled for Sunday, October 21. The new MultiPHAN joins a wide array of well-known Sun Nuclear hardware solutions, including SRS MapCHECK™, StereoPHAN™, IC PROFILER™, Daily QA™ 3, ArcCHECK®, MapCHECK® 3, and more. MultiPHAN enables convenient and comprehensive TG-142 daily alignment checks. Automated integration with SunCHECK™ Machine is planned for early 2019. Sun Nuclear Patient Alignment solutions, including MICRO+ MR and MICRO+ Fixed Lasers Systems, and the CT SIM+Moving Laser System, will also be displayed. 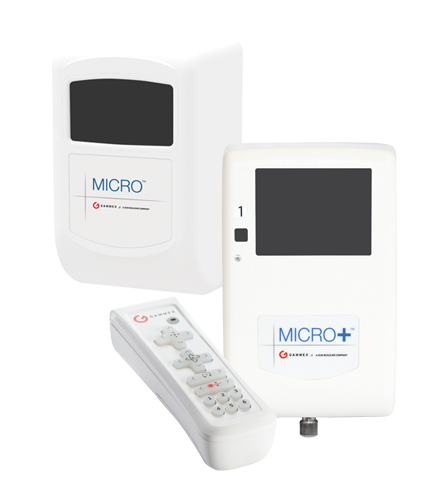 MICRO+ MR, the latest addition to Sun Nuclear's Patient Alignment solutions, works in any MR environment, up to 3 Tesla. "We have an exciting line-up of new solutions for enhanced patient safety and accuracy at the upcoming ASTRO meeting," said Jeff Simon, Sun Nuclear CEO. "Regardless of vendor or modality, Sun Nuclear offers a comprehensive suite of hardware and software solutions for Radiation Oncology and Radiation Therapy departments. We invite ASTRO attendees to visit our booth to learn more." For more details on Sun Nuclear's presence at ASTRO 2018, visit sunnuclear.com/astro. Sun Nuclear will also sponsor the SROA 35th Annual Meeting, for radiation oncology administrators. The meeting is held concurrently with ASTRO. ASTRO '18: New Sun Nuclear solutions. Appl Rad Oncol.